Yesterday I bumped into a teacher friend at the coffee shop. He does a bunch of cool maker projects. One of them was out of control: a solar powered magnetic hovering turbine. Ridiculous (in a good way). He is more about low cost, low entry projects such as making hats out of blankets and toy cars out of cardboard and other craft materials. I envy these maker gurus. While chatting he reminded me of this awesome toy glider resource. It is on Science Toy Maker. 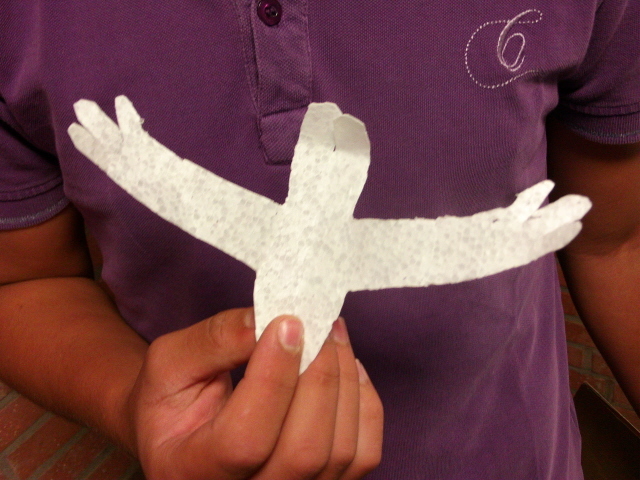 In this project, your kids can learn about the physics of aerodynamics and create hand crafted gliders out of simple printer paper. Here is the kicker: you can keep the glider up in the air by creating a wave of air with a poster or if skilled enough with your hand!